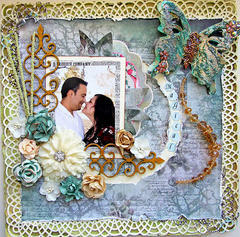 Breathe life into your next project with the Sizzix Rachael Bright Butterfly 2 Bigz Die. 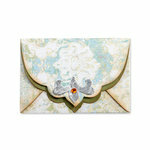 This die cuts through cardstock, chipboard, fabric, foam, magnets, leather, metallic foil, paper, and sandpaper. It works with the BIGkick, Big Shot, and Vagabond machines. One of the Beautiful Symbols of my Wedding!! I needed something that would be one of the symbols of my wedding and reception. How happy I was to find this on Scrapbook.com website!! But unfortunately I had to wait until it was in stock. It will be perfect as the highlight with my other decorations that include the Eiffel Tower!! 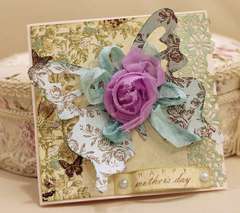 very beautiful butterfly I'm sure I will find many uses for it in my card making. I love BIGZ Dies, but have to say I am disappointed with this one. It does not have the antennae and body part with it. I am having to just wing it for those additions. 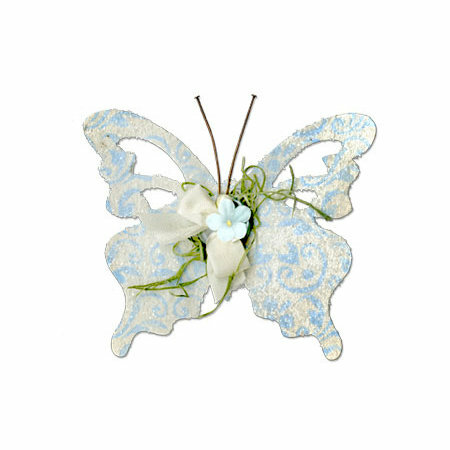 I love butterflies and love putting them on my cards. Used this die cut to make a birthday "corsage" for my sister. It's big, but it's beautiful. Looking for other uses for it. Love it. This is a beautiful butterfly. I made a lot of them, cut them and decorate them, and then I hang them in my windows! Beautiful! 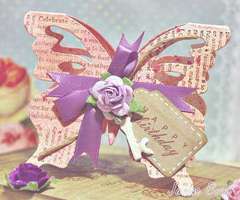 I just received the Sizzix big Shots butterfly No. 2 die, how do I take it out of the case. Its seems to be sealed in foam and hard to pull up. I don't want to ruin the stamp by forcing it out of the case. Thanks in advance for your help By: User (22-Sep-14) Helpful Question? Yes | No Thank you! Report Inappropriate This question has been reported. Thank you! This die is not meant to be removed from the foam. Please leave it in and run the complete die through the machine. By: Paula K (23-Sep-14) Helpful Answer? Yes | No Thank you! Report Inappropriate This Answer has been reported. Thank you!